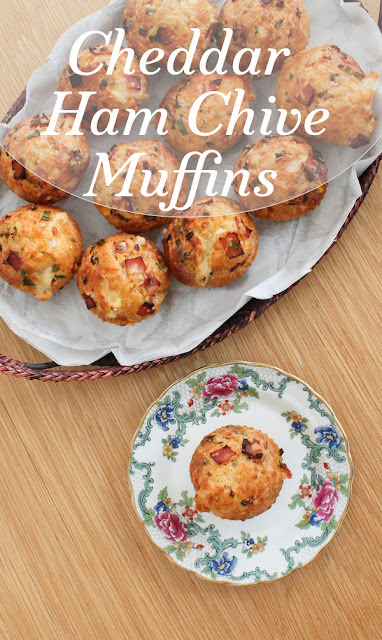 Loads of extra mature sharp cheddar cheese, smoked ham and chives make these cheddar ham chive muffins the perfect accompaniment to your favorite soup, or as a stand alone treat for breakfast and snack time. This past week I had the absolute pleasure of visiting a dear friend in Northern Wales. The weather flip-flopped from cold and clear to cold and snowy and back again with just a little rain and tiny hail from time to time to make things interesting. It was an ideal time to turn the oven on and bake! Since Jane and I have similar tastes - salty over sweet every time - I decided that savory muffins were the way to go. 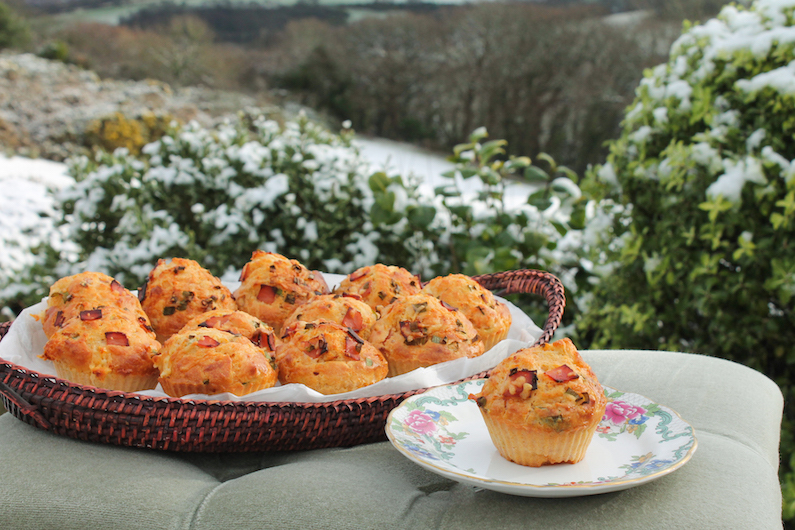 As a bonus, Jane's parents were kind enough to let me use their back garden to take the muffin photos since it was rather dark inside. 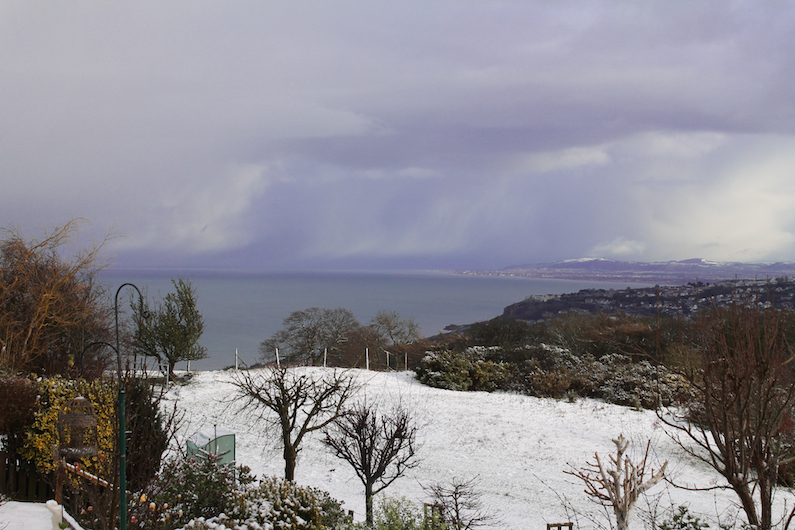 Check out the gorgeous sea view they enjoy! I could have looked at it all day if the temperatures hadn't been so cold! Yes, that is still SNOW on the ground. Of course, I shared the muffins with them as well. They said they'd never had a savory muffin so I was pleased to be the baker and bearer of a first for them. I had a similar experience when I baked Brie and Bacon Muffins for Scottish friends we were visiting in Paris. Despite my saying that the muffins were made with Brie and bacon, there were surprised faces at the breakfast table when they bit into (what??!!) 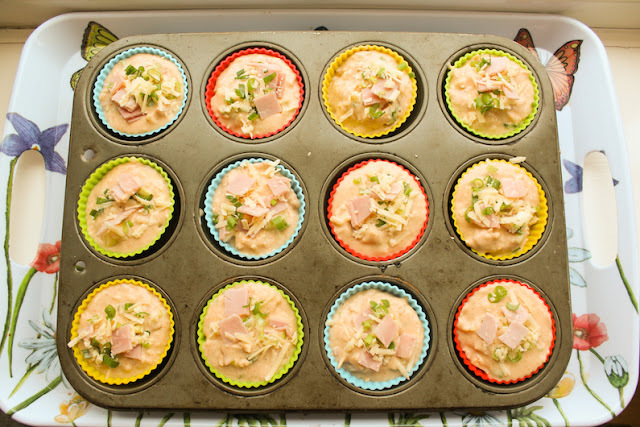 savory muffins. What part of Brie and bacon made you think they would be sweet muffins! I exclaimed. 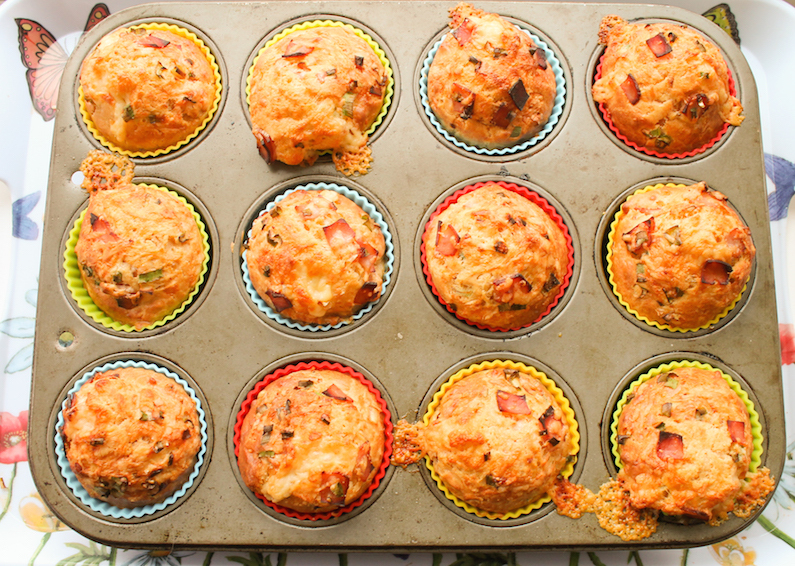 Use whatever cheese you have on hand for these wonderful muffins. I prefer an extra mature sharp cheddar but seriously, any semi-hard or hard cheese would do. 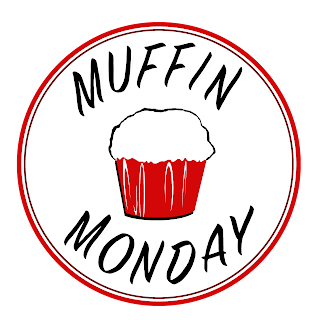 Preheat your oven to 375°F or 190°C and generously grease your muffin pan or use silicone muffin cups. If you don't have silicone liners, I would suggest putting the batter into a greased pan rather than paper muffin cups because the cheese in these makes them bake up lovely and browned and crunchy all over. 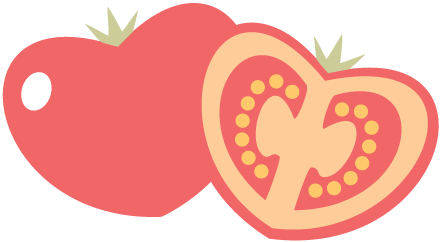 It would stick to a paper liner. 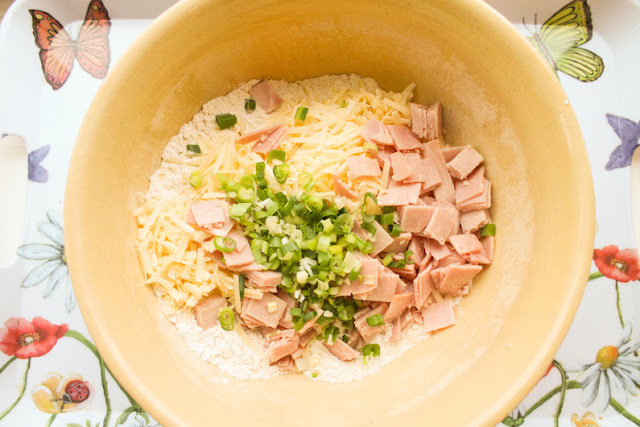 Cut your ham into small squares. Grate half of the cheese with a large hole grater and cut the other half into small cubes. Finely chop the chives. Separate out just a little of each to top the muffins before baking. In a large bowl, whisk the flour, sugar, baking powder, salt and cayenne, if using. 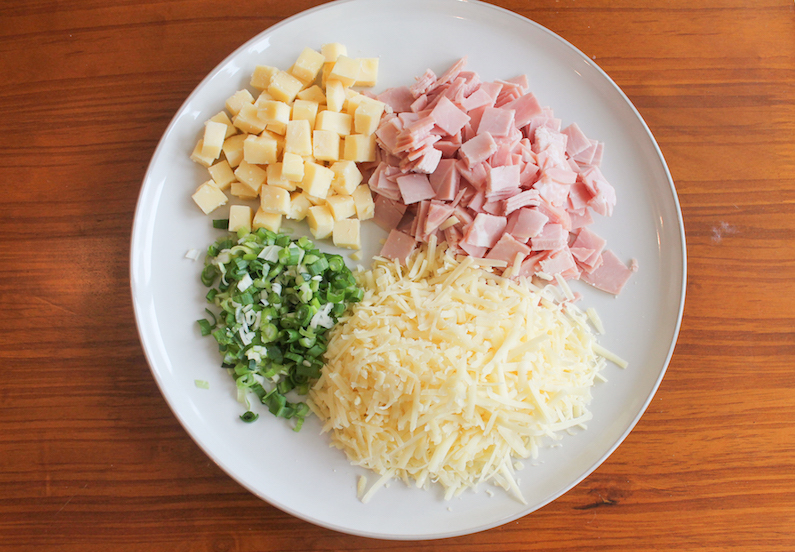 Stir in the grated cheddar cheese and the ham. 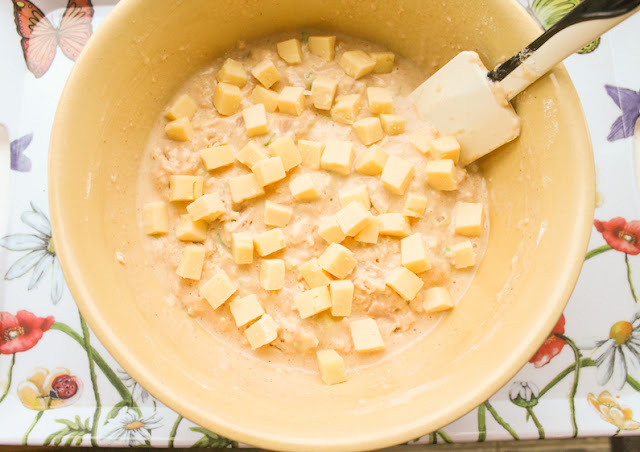 In a separate bowl, whisk the eggs, milk, and oil together. 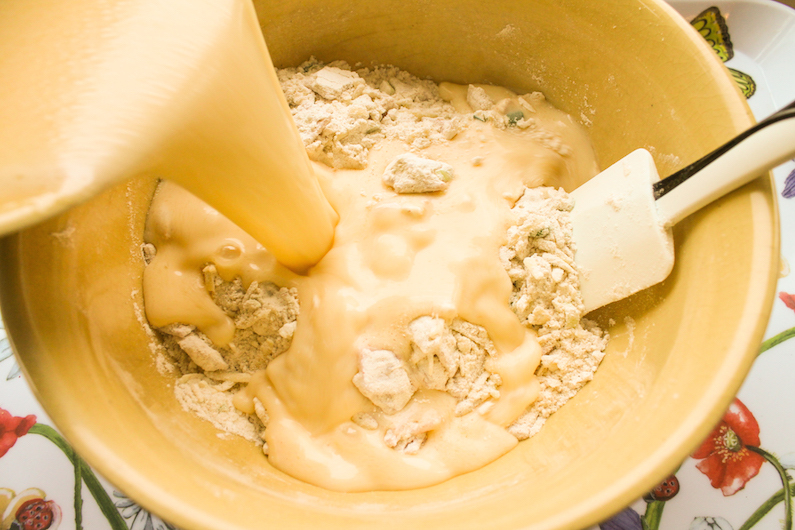 Pour milk mixture into dry ingredients and stir with a spoon or rubber spatula until they are just combined. Gently fold in the cheddar cubes. Spoon the batter into your very well greased muffin pan or silicone liners. Top each filled cup of batter with the reserved ham, grated cheese and chopped chives. 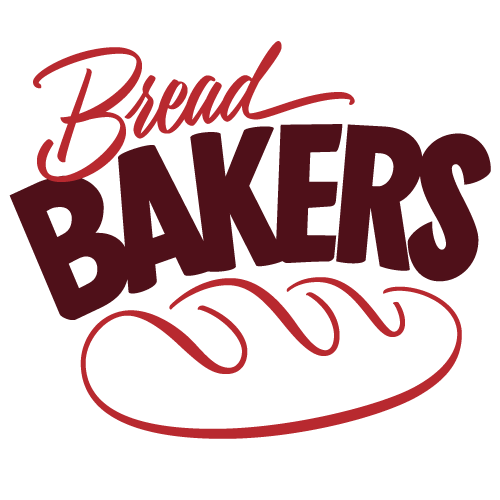 Bake in your preheated oven for 20-25 minutes or until they are looking browned and crispy and delicious and you can't wait another second to eat them. Allow the muffins to cool for a few minutes then use a non-pointy knife to loosen/remove them and the melted cheese from the muffin pan. You don't want to scratch your pan! 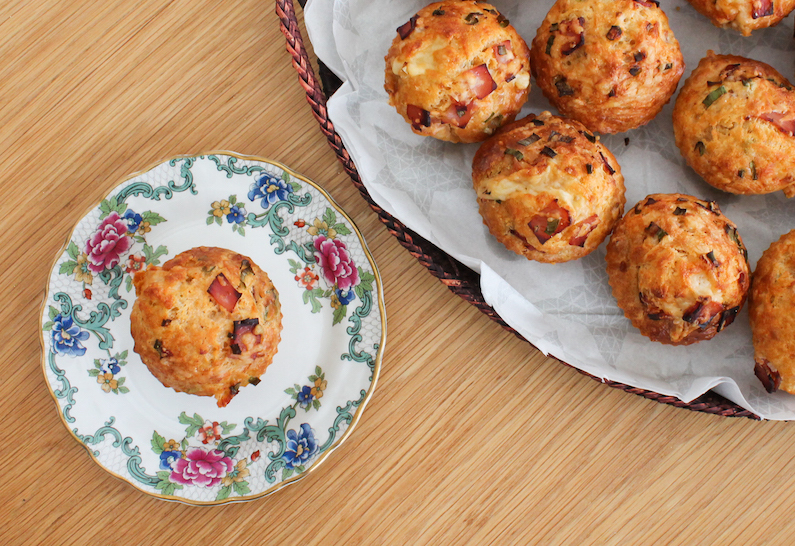 Pin these Cheddar Ham Chive Muffins!